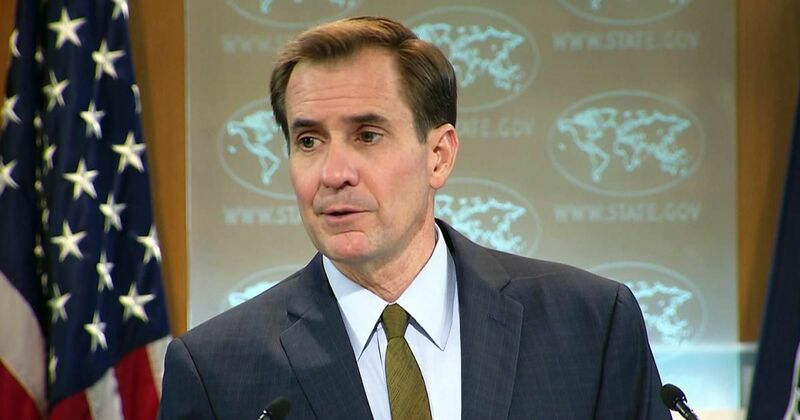 State Department spokesperson John Kirby . (TibetanReview.net, Jul15, 2015) – The US State Department has on Jul 13 expressed sadness over the death of Tenzin Delek Rinpoche, a Tibetan lama who has been a political prisoner since 2002. “We express our deepest condolences to his family, friends, and supporters,” State Department spokesperson John Kirby said in a press statement. The statement called on China to investigate and make public the circumstances surrounding his death, noting that the United States had consistently urged it to release Tenzin Delek Rinpoche, most recently out of concern for his health. The statement also urged the Chinese authorities to return his body to his family or to his monastery so that customary religious rituals can be properly performed. Tenzin Delek Rinpoche, 65, was a highly popular religious figure in Nyagchu (Chinese: Yajiang) County of Karze (Ganzi) Prefecture, Sichuan Province, who actively engaged in community, charitable, cultural and environmental works. His activism and popularity was an eyesore to the local officials who under the then Provincial party secretary Zhou Yongkang implicated him in an unsolved bomb explosion incident in Chengdu and arrested him in 2002. He was sentenced to death with a two year reprieve which was later commuted to life sentence. Chinese police informed his two sisters who were waiting in the provincial capital Chengdu for two weeks to visit him on Jul 12 that he had died that day in Chuangdong Prison in Dazhu County. Tenzin Delek Rinpoche had not been allowed any prison visit over the past two years.